I Am A Reader, Not A Writer. Today is my stop on the tour and I will be sharing my book review for this lovey new novel. I would love for you guys to share your comments on my review AND be sure to enter the giveaway below. You can win a ecopy of The Realm of the Lost. What happens when you die before your time? Thirteen-year-old Kathleen "Kat" Gallagher has had it with her family. The eldest of three children, Kat feels trapped ever since her parents’ separated and she has had to take on more responsibility than she feels prepared for. Everything changes on a frigid morning in mid-December when an accident propels Kat into unfamiliar territory. Stuck in the place where people go when they have died before their time, Kat must face obstacles she could never have imagined. With the help of other young inhabitants of the Realm of the Lost, Kat learns the true meaning of friendship and family. "Who would have thought that in that few pages one can make a magical, wonderful and well-written story?... I recommend this book. Most especially to children out there!" "What a truly magnificent and unique plot and concept! Where do you go when you pass away too young? 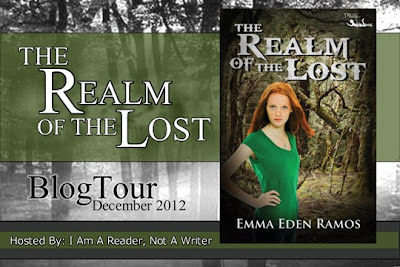 Emma Ramos has created a truly facinating and absorbing novella that leaves the reader pondering this question- characters and plot devices are spot on- fast moving and deeply moving, THE REALM OF THE LOST comes very highly recommended!" "...Ramos offers the right balance of plot and description...allowing the suspense and tension to build to the twist." Emma Eden Ramos is a writer and student from New York City. Her short stories have appeared in Stories for Children Magazine, The Storyteller Tymes, BlazeVOX Journal, and others. Emma's novelette, Where the Children Play, is included in Resilience: Stories, Poems, Essays, Words for LGBT Teens, edited by Eric Nguyen. Three Women: A Poetic Triptych and Selected Poems (Heavy Hands Ink, 2011), Ramos’ first poetry chapbook, was shortlisted for the 2011 Independent Literary Award in Poetry. Emma studies psychology at Marymount Manhattan College. 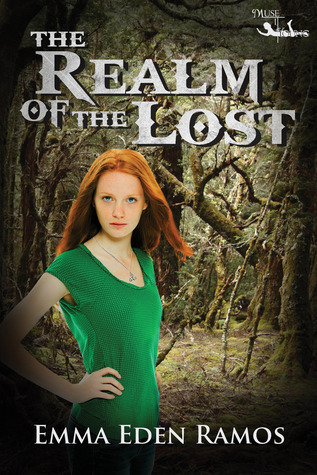 Realm of the Lost is short novella, but the story within is was quite beautiful. It is a story of what happens to a young girl that dies before her time on earth was supposed to be up. I really enjoyed myself throughout the entire book. While although this story is short it really made an impact on me. Right from the beginning you feel this sense of loss and sympathy for Kat. I find that books that begin with a death are always kind of hard to read or get into but as the story progressed I found myself deeply involved in what came after death for Kathleen Gallagher. The ending was a shocker. I was so totally surprised by what happen. Realm of the Lost is one book not to miss. The author, Emma Eden Ramos did a fantastic job with such a short and unique story.